CHALLENGE INCLUDES 2 X PT SESSIONS! We want you to participate. We want you to take this seriously, and see amazing results in unexpected areas. Even if you don’t believe this will actually change your life, if you’re willing to give it 30 short days, do it. By having a group class membership or attending personal training sessions whilst on the challenge will give you optimal results. 2) Included in this fee you will receive the e-book: It Starts With Food This is a must which we will provide you with. 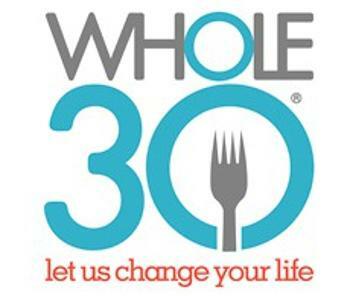 You cannot do Whole30 without reading this….and we’ll know if you didn’t! (3) Once you register you will receive an email with all of the rules and info you need to get started. (4) Attend your first 45 minute PT session! Here we will explain the challenge in depth, record your body measurements (which will be kept personal), you will be provided with a points sheet to follow, and perform a short Benchmark workout that we will retest at the end of your challenge. 6) After your challenge you will meet with our coach for your second PT sesh. Here we will look at the results, record your body measurements to see the changes that have been made, and we will retest the short Benchmark workout to see how your body has improved. Once payment is received, we will email to get you started and all details will be sent out to you regarding the challenge. Payment must be received before you start your challenge. All monies paid are non-refundable. Questions? email admin@jerseycrossfit.je.